One of the things I really love doing is designing around a theme. 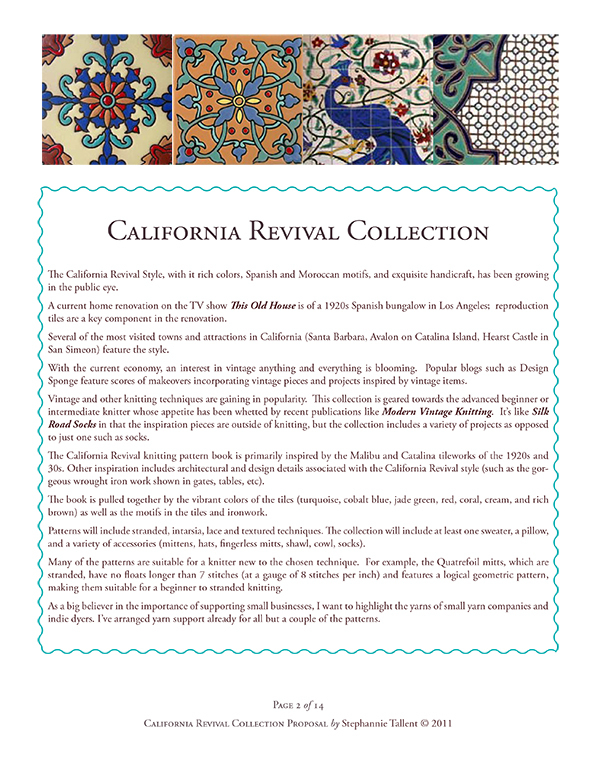 California Revival Knits (CRK), my first book, was built around the theme of Californian Spanish Revival architecture. 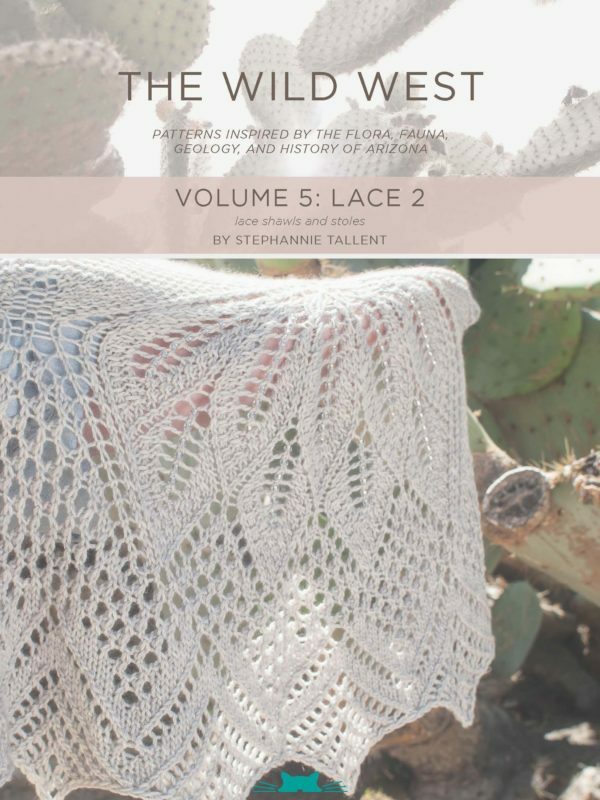 The Wild West e-book collection was inspired by, as the tagline says, the flora, fauna, and geology of Arizona. 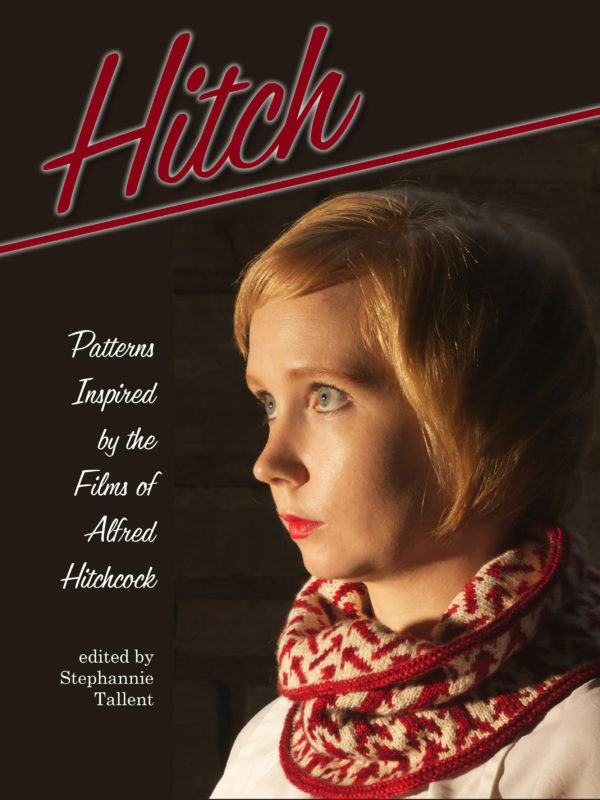 Hitch, of course, focuses on designs inspired by the films of Alfred Hitchcock. I only choose themes that really grab me. I’m not an expert in any of those topics, but I do have a decided interest — and, honestly, a love for — each. 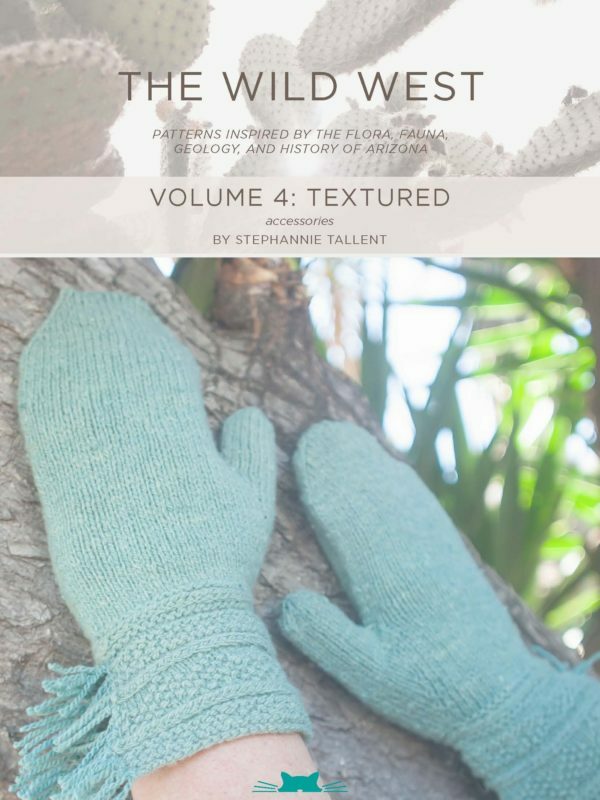 But it’s not enough for me just to have a love for a topic — the theme has to evoke certain colorways, shapes, or something that I feel I can interpret (however loosely) in a knitted design. Choosing the colorways that fit the theme, or are evoked by the theme, is one of my favorite parts of working with a theme. Hitch required drama: black (including deep grays) and cream, with splashes of (blood) red. Only one sweater (the Cypress Point cardi) is an outlier, and that’s because unfortunately the dye lot of the yarn we received was more yellow than the described and anticipated cream. Stuff happens. I got to play with lots of dusky, earthy colors with the Wild West series, with splashes of turquoise (yes, turquoise is a favorite of mine!). Unfortunately I deleted the promo stuff for the Wild West series, so I don’t have a document like those above to share. 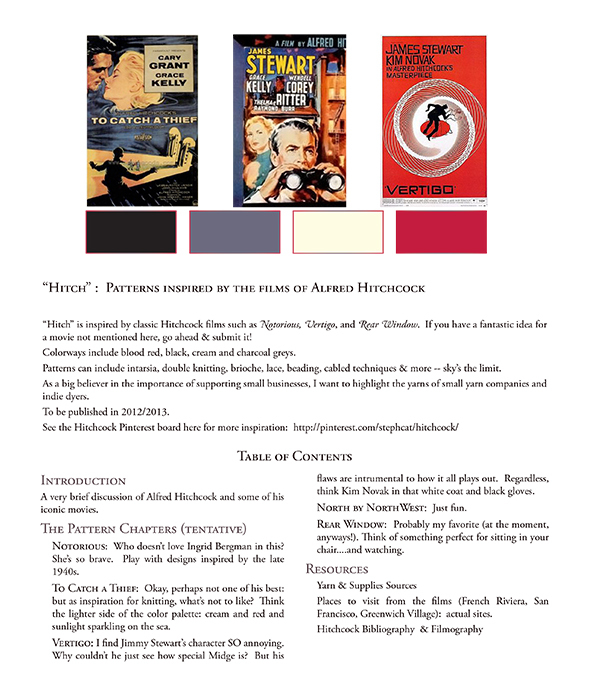 As you can see from the proposals and links above, I do also use the themes as inspiration for shapes and motifs. The Wrought patterns from CRK exemplify this. 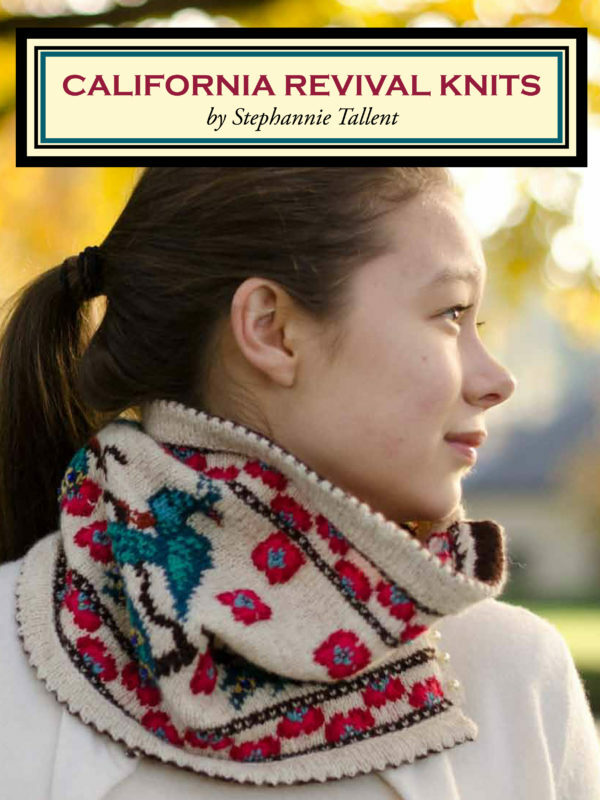 It’s not just me who does this ; Elizabeth Green’s San Juan Bautista Shawl is another fabulous example. Compare it to the Saul Bass Vertigo poster in the Hitch proposal. 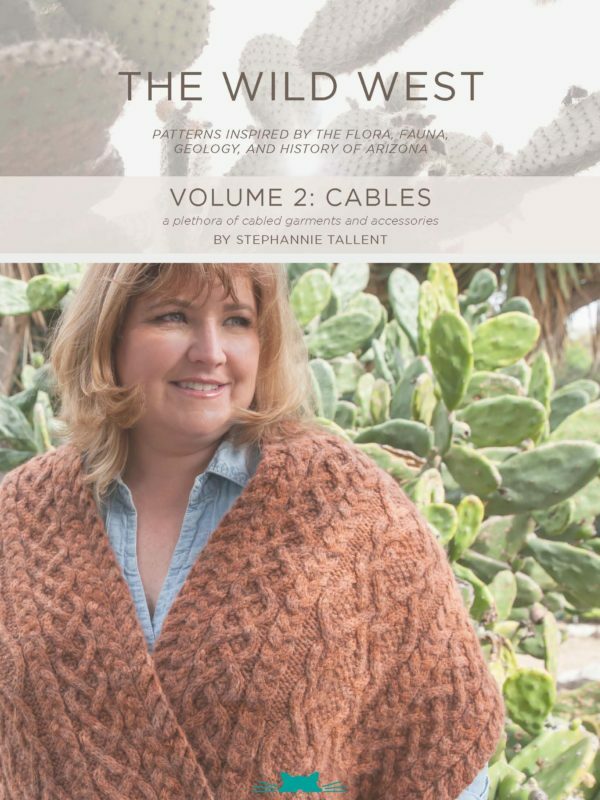 Although I often choose yarn companies based on the fact I’m trying to promote other small to medium businesses, yarn selection is also impacted by the theme. 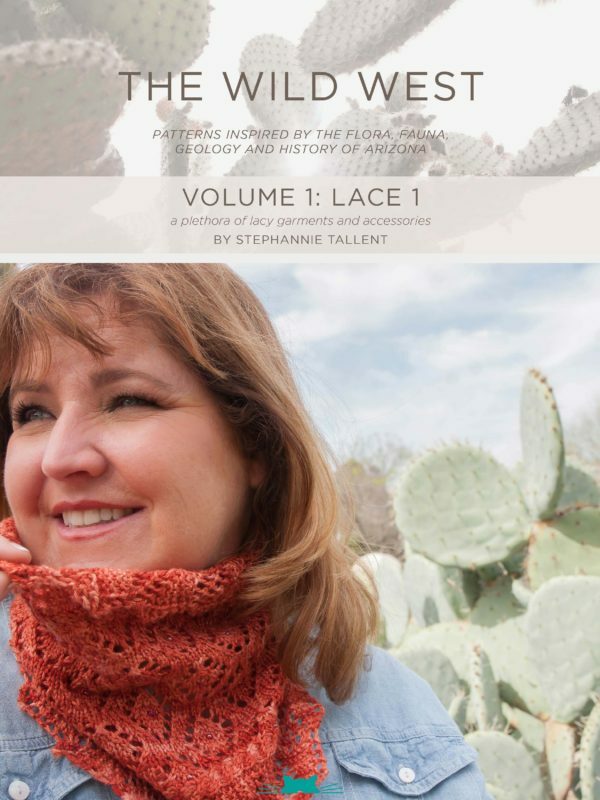 For the upcoming Winery Knits collection I wanted yarns that were subtle and earthy. 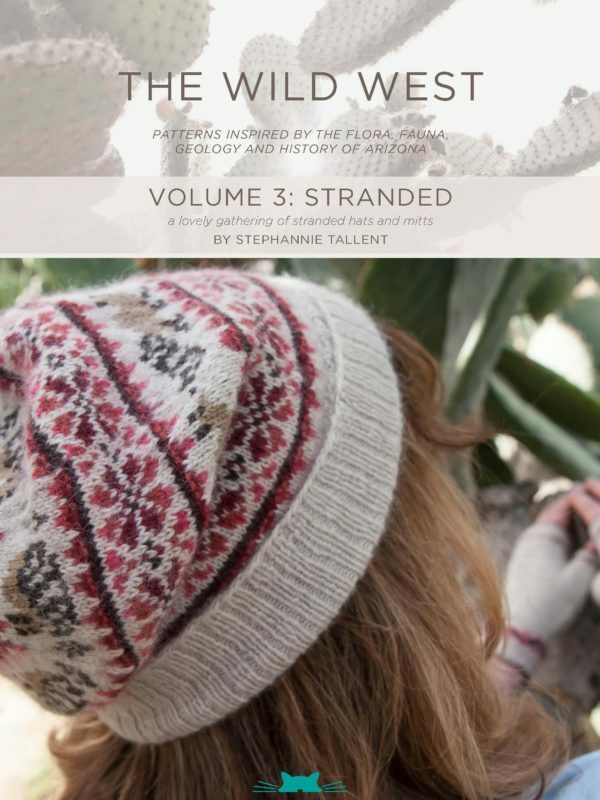 I chose yarns from Elemental Affects, Sunday Knits, Shalimar, Sincere Sheep, and Harrisville, focusing on solid but heathery yarns in creams, browns, and sky blues. Let me know in the comments if you enjoy themed collections; and if so, what do you like best about them?